When posting images in any Vendor forum threads, please follow the below guidelines. We allow embedding of images from auction, shop and image sharing websites (such as Flickr) and social media providing the image is publicly available. In the case of auction and shop photos, however, they often disappear after a few months, so you may want to consider preserving the photo elsewhere in case they disappear. We do not allow hotlinking/embedding of images from other people's blogs and websites due to possible bandwidth restrictions on their server. If there is a photo you wish to share, we require it to be a link. We require all embedded auction / shop image photos to be credited to the location and seller that you obtained them from along with a link. Please read personal privacy concerns and/or concerns about people bidding against you below if you have reservations about sharing the link. If you have any concerns about people knowing the final cost of an auction you won, or the cost of an item you purchased from a shop, we recommend that you don't share the seller's photos at all as it is very easy to locate the closed auction or shop page using reverse image search. Wait until you have received the item and take your own photos to share. What a stunning kimono! I love the details of the carp. 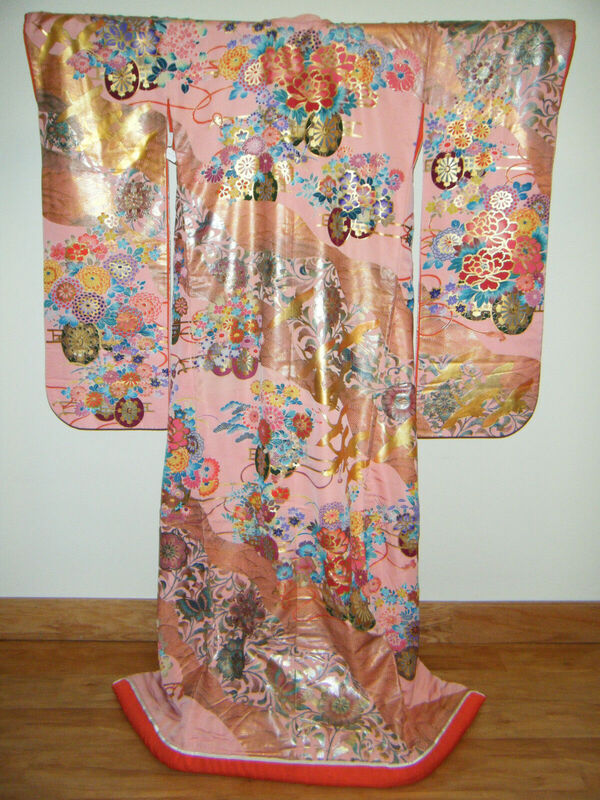 What a stunning kimono! I love the details of the carp.